Published together with Børge Roger Henrichsen on Palle Fogtdal’s publishing company. Palle was a very kind man whom I worked for on the ladies magazine, EVA. He apparently thought that this young man he had taken on should be given another chance, namely to make a book on his favourite subject, jazz. My fee was 2.000 kr. I never dared ask Palle Fogtdal how much the book cost him after he destroyed half the stock because of poor sales. On the other hand I had much pleasure from the book. Many years later a Japanese stood on the doorstep to my apartment on the top floor in Østergade, Copenhagen, where I lived back then. He spoke nothing but Japanese, which wasn’t my main competence. I did understand, though, when he handed me my book and a pen, that he wanted my autograph. My first autograph. Fantastic. 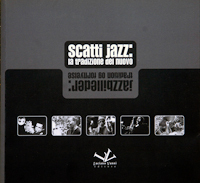 After my first experience with books on jazz I didn’t really find it worth my while. However, it was difficult to ignore the invitation from Claus Clausen (owner of “Tiderne Skifter”) and the artist Erik Rasmussen. The thing was that after the death of artist Hans Henrik Lerfeldt they had taken care of his estate. There was a minor surplus which they wanted to put to some good use. The connection to Hans Henrik Lerfeldt was already there, since I had helped him with fotos of some of the jazz artists that he had portrayed. The book became a success in as far as it is sold out, but it was hardly a sound investment. A traditional dictionary made in collaboration with Peter H. Larsen and Thorbjørn Sjøgren, good old friends who were experienced in such matters. I had to empty the whole archive to find out what could be used. 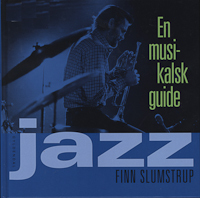 Finn Slumstrups book on the history of jazz. I find the choice of pictures interesting, compared to other similar books. I find Finn Slumstrup’s comments on the photos interesting and amusing with good observation skills and oblique approaches. 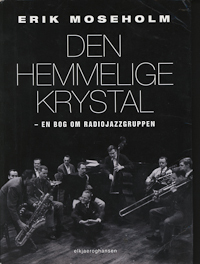 Erik Moseholm’s book on the Danish Radio Jazz Group. Once again it was interesting to search the archive for unpublished photos. And there was an incredible amount, even I became surprised. I addressed the now deceased publishing editor Mogens Kristensen and suggested that we made a book about Niels-Henning Ørsted Pedersen and his significanse. He immediately accepted. I got to choose the writer myself and called upon Peter H. Larsen and later also Thorbjørn Sjøgren. 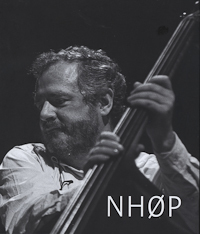 It was fantastic to go through all NHØP’s involvements throughout the years. I am especially proud of the picture and the design of the front page. It doesn’t get more simple than this, a fact which has been pointed out in a couple of books about design. This book had been rumbling around in my head for many years. The original idea was to make a photo book with all the photos of some quality of the Danish beat group, Gasolin. Not just my photo, but also works by other photographers. The idea didn’t catch on, most likely because of copyright problems. So I was left alone with the project, with some help from the photographer Susanne Metz and my old writing buddy, Torben Bille. The book is sold out, in spite of Frantz Beckelee’s pronouncement that the book was crap. But eventually crap sells. This was a slightly reviewed version of Finn Slumstrups first book. 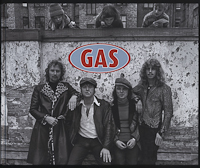 When Torben Bille and I had ransacked my archive for photos of Gasolin we realised that it contained a minor gold mine in the form of my rock & roll photos from the sixties and seventies. Pictures of Rolling Stones, Beatles, Bob Dylan, Doors etc. Once again the publishing company was game. Unfortunately the fiasco was overwhelming, since the sales didn’t go as fast as expected. So the book was practically given away, an alternative way of get sold-out. 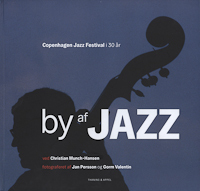 An assignment commissioned by Copenhagen Jazz Festival who wanted to mark its 30 year anniversary. My old co-photographer Gorm Valentin was game, and the jazz reporter from the newspaper Information was chosen as editor. Beautiful book where the pictures were allowed to speak for themselves. 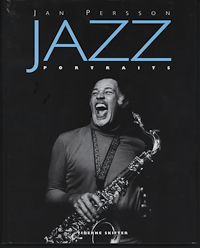 On the initiative of the photographer Jørgen Bo and his wife Anne we formed a small company called Jazzsign around 2000. The only purpose of Jazzdesign was to make a book about Jazzhouse Montmartre. The birth was slow and troublesome. 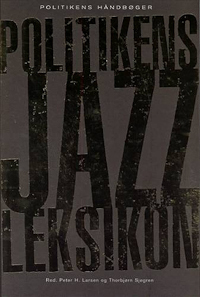 The book had Henrik Wolsgaard-Iversen as author, because he had worked as jazz editor and chief sub-editor for the culture department on the Danish newspaper Berlingske Tidende in the sixties, the heydays of Jazzhouse Montmartre. 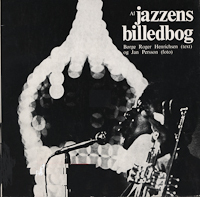 Frank Büchman-Møller, who was librarian at The Music Conservatory of Fyn, took care of who had played when and with whom and which LP’s were recorded in the jazzhouse. An extensive and a time-consuming piece of work. In my opinion not really such a bad book. This book is subtitled, it’s path through The National Broadcasting Coorporation, The Danish Radio and DR. Which tells it all. Once again a search through the archives to find new stuff. Of course I succeeded. 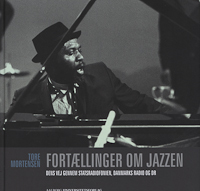 Tore Mortensen from Center for Danish Jazzhistory and a row of contributors have written an interesting book about the times when DR treated jazz as it really deserves. This book is subtitled, “Photographs and reflections by Jan Persson”. I was contacted by a young journalist from Århus, Mia Fuglsang Holm. At first I thought she just wanted some photos for a book. Gradually I realised that she wanted to make a book about the old photographer and his experiences. Nothing interests me less than communicating to a broader audience what I have experienced. Yes, I have experienced a lot, some things interesting, others totally trivial. Anyway, we came to an understanding and the book was printed in both Danish and English. The latter was reviewed very nicely in Down Beat. And no, there appeared no reviews in Danish newspapers. I can easily live with that, but others are being cheated, maybe. 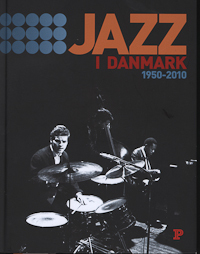 This book aims to take over from Erik Wiedemann’s legendary doctoral thesis on Danish jazz history. Given the fact that I walked around in shorts in the fifties, it became necessary to procure a lot of material that I didn’t have. Some things I bought, some I obtained sneakily and other stuff I swapped. 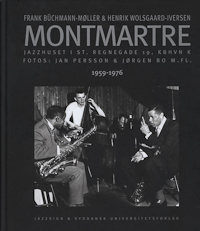 This way I got possession of fine photos by Lennart Steen and Ebbe Wråe from an important period of Danish jazz. And then once again a dive into the archives, where I found approximately 1000 relevant photos. A third of these appeared in the book. 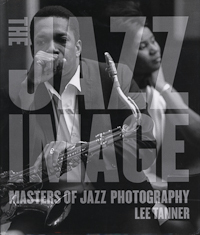 This book is written by the photographer Lee Tanner. I believe it took him 6-7 years to convince an American publishing firm that this was a good idea. He finally succeeded, and among the contributors are little me and my good old friend, Ole Brask. Well done to have two Danish photographers represented. 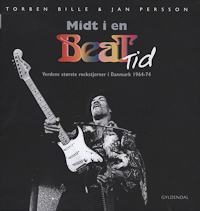 In this book from Dylan’s first European tour in 1966, written by Melody Maker journalist Richard Williams, one finds a series of photos from Stockholm and Copenhagen. 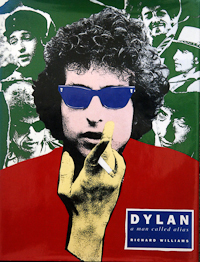 Bob Dylan apparently liked the more than 200 photographs, because he bought one of each. As a result, today I still get contacted by his manager, whenever they need some older photos,. By the way, the book is translated into Japaneese and German. 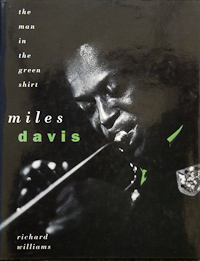 I always found Miles Davis to be enormously interesting as a person. Therefore it was a pleasure once again to go into the archive and browse. And there was a lot! My first encounter with Miles Davis was not exactly a success. It was backstage in Tivoli’s Concert Hall in the beginning of the sixties. All Mr. Davis communicated to me was “Get out!” Later things improved, and we gradually got to be on speaking terms. Like when he asked me – after the recording sessions of Aura” in Copenhagen – if he could buy some of the photos I had been taking. One of the many side products, which came out of an earlier collaboration with the journalist, Richard Williams. 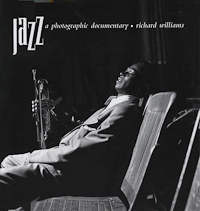 Once again the story of jazz in photos. This book was made in connection with an exhibition in 3-4 Italian cities. The exhibition was arranged by the Italian photographer Nicola Fasano, who resides in Denmark. It also included works by my dear old friend Gorm Valentin. 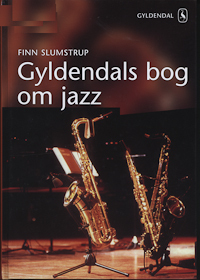 For some obscure reason the book has a Danish subtitle: “Jazzbilleder: Tradition og fornyelse”. 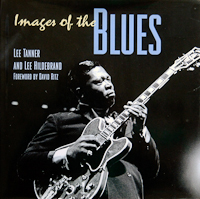 The book also contains series of photos by excellent Italian photographers.